The Loyola Marymount University MBA program offers small classes, personalized attention, global study opportunities, career services, and provides students with the skills and experience to advance their careers. Classes are offered in the evening at the beautiful West Los Angeles campus. The Loyola Marymount MBA program can be completed in 24 to 36 months if you go at a recommended pace of two class nights per week. However, students in the program have the option to complete the program over a longer period of time. The first year is structured as a cohort (core classes) and the second year offers more flexibility (emphasis and electives). A new class begins each fall. As part of LMU’s real-world learning experience, the MBA program offers two international study opportunities that are unique to the curriculum. The Loyola Marymount MBA program is designed for individuals with at least two years of professional or internship experience. Students take four courses in a chosen area of emphasis and nine core courses overall. By adding one elective to the curriculum, it is possible to pursue a double emphasis. Areas of emphasis include: Entrepreneurship, Finance, Human Resources/Organizational Development, Information Technology, International Business and Marketing. A wide variety of electives are offered each semester to help supplement the core learning experience. MBA students must choose between two international study opportunities. 1) The Comparative Management Systems (CMS) Program gives MBA students an opportunity to gain firsthand exposure to global management concepts and practices. The program requires a year of study and concludes with travel to a number of countries in a specific region of the world to meet with business executives, visit local attractions and learn about the location’s unique business environment, social culture and customs. 2) The Bonn Program gives MBA students the opportunity to earn three credit hours in the heart of the European Union. The course, The Environment of Business in the European Union, takes place over a period of two weeks in August and provides participants with an opportunity to experience the ongoing transformation of Europe and the many ways in which continental unification is developing. There are just over 140 students in the LMU MBA program, 62 percent of which identify as male and 38 percent that identify as female. About 36 percent of MBA students are of minority status. On average, these students are 30-years old, joining with an average GPA of 3.35 and GMAT score of 597. Each class features roughly 17 students on average, with an 8:1 student-faculty ratio. Most students join the program with around 4.5 years of professional work experience. All Loyola Marymount MBA students and alumni are eligible for career services guidance through the Career Services Office. Whether a student or alum is looking for a full-time position, part-time position, or internship, LMU offers a variety of services to help advance careers. 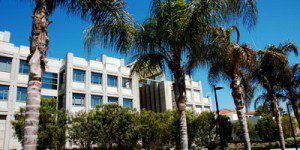 The total cost of the Loyola Marymount MBA Program is $88,500. This fee includes tuition, residential and workshops, required international experience, books and parking. Scholarships, federal loans and graduate assistantships are available. Scholarships are awarded based on merit and do not need to be repaid. Eligibility for scholarships can be based on academic merit, leadership and/or talent. All need-based financial aid and most other aid awards are determined in whole or in part by the information submitted within a student’s Free Application for Federal Student Aid or FAFSA. Students can submit their FAFSA and apply for financial aid at LMU even prior to applying for admission to LMU, and the Financial Aid Office recommends applying for aid as soon as possible. Grants are made available by LMU, the State of California and the Federal Government to help fund the LMU education. The Financial Aid Office considers eligibility for these based on information submitted on the FAFSA. Applicants to the Loyola Marymount MBA programs must have completed a Bachelor’s degree or recognized qualifications equivalent to a degree, and possess at least two years of work experience. Internship experience is also acceptable. To apply to LMU’s MBA program, applicants must submit a completed application form, college transcripts from degree-granting and non-degree-granting institutions, a current résumé and two letters of recommendation. International applicants must submit an official TOEFL score or IELTS score. The school also requires applicants to complete a personal statement. Applicants must also send in their GMAT or GRE scores and a nonrefundable $50 application fee.